One of the best ways to bring out the detail of your subject is to take a macro photograph. Here we will share eight tips on how to achieve great macro photography. Many photographers use macro lenses to take photos of small creatures and plants. When you are taking ‘up close’ photographs, every little imperfection will be highlighted. It is a good idea to make sure there are no marks or imperfections on the subject before taking the shots. For example, if you are taking macro shots of a piece of jewellery, make sure that there are not any smears on the jewel or scratches that could deter from it’s beauty. Of course some things can be edited out afterwards. One of the best features of DSLR cameras is that they have interchangeable lenses. 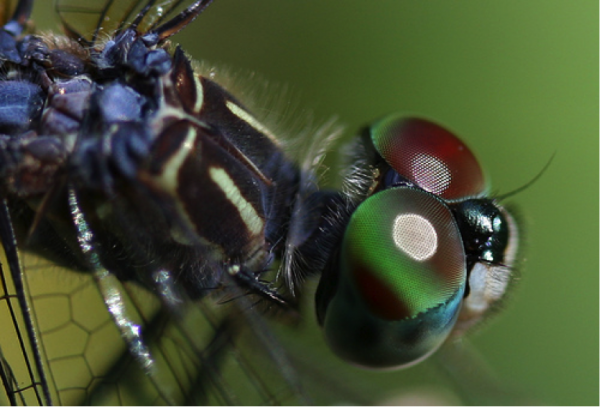 If you are serious about taking macro photographs, you’ll want to invest in a macro lens. Although many lenses claim to offer ‘macro’ benefits, a true macro lens will allow you to reproduce your subject at a 1:1 life size on your sensor. When it comes to taking macro shots, you will find that the autofocus function on your camera does not work very well. It is likely that it will struggle to find a focus point on the subject. It is much better so shoot in manual when taking macro shots. You may find that even the manual focus on your camera is not quick enough to capture the subject of your macro photograph, particularly if it is something like an insect that moves quickly. In order to improve your macro photography you could try pre-focusing your SLR. To do this, focus your camera on something of a similar size, positioning it the same sort of distance away from the lens as you would expect to be when taking the real shot. Providing you don’t knock your camera out of focus, it should remain on-point, ready for you to take your macro shot. Even if you think you have the steadiest hands in the world, you will still need to use a tripod when taking macro photographs. Any slight movement you make will affect the quality of your shot. It is also a good idea to use your camera remote (if you have one), as this will allow you to take the shots without having to risk blurring your shot by pressing the shutter button on the camera. Part of what will make your macro photography attractive is the vibrant colours and detail you capture. Make sure that the colours of your subject do not get washed out, by fitting a filter to your camera. We recommend a polarizing filter. This will ensure that the colours captured on camera are the same as the colours featured on your photography subject. 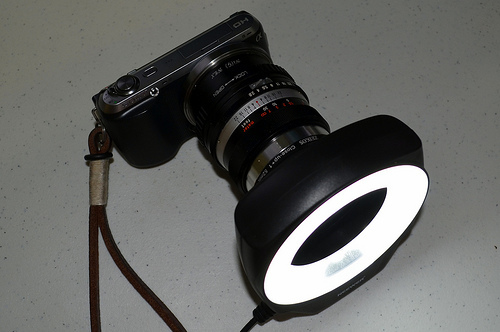 If you need to use additional lighting when taking macro shots, always use a ring light to diffuse it naturally. Good lighting is essential to macro photography. It is important to make sure that your subject is well lit before you attempt to take a shot. Obviously natural light is best, but sometimes you will need to use an additional source. Do not use the flash setting on your camera, as this will wash out your macro subject. It will take some practice to get the lighting right. We suggesting using reflectors to help bounce existing light around your subject or using a ring flash to spread out artificial light in a more naturally-occurring way. When people think of macro photography, the usual insect and flower subjects spring to mind, however macro photography has far more to offer than pictures of flowers and bugs. All sorts of subjects can make for fantastic macro photographs, but it’s up to you, the Photographer, to see them. Start paying attention to small parts of your subjects, rather than what they are as a whole and you’ll soon see the potential macro photography has to offer. Although when it comes to macro photography, practice makes perfect, these eight tips should definitely help you along the way!